Add to the value of your property and protect your vehicles from weather	with a custom-designed garage. Whether to store your cars or a safe place	for your toys, a A&B garage can also be an extension of your living	space. All our buildings are custom-designed to complement your home,	property and lifestyle. Just call Betsy Bryant at 1 800 267-0506. 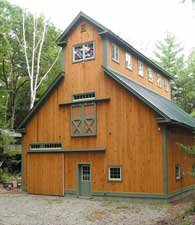 Although known for our stall barns and arenas, we also design run-in sheds,	garages, storage buildings and barns for a variety of use. A&B Barns	is a Division of Belletetes, Inc., offering an even greater selection	of materials and resources to make your dream a reality. 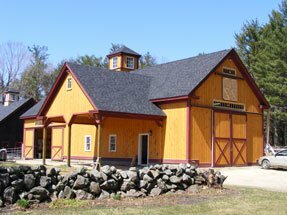 All arenas, barns, stall barns, garages, run-in sheds and storage buildings	are designed by our A&B Barns – Pembroke location only. Talk to us today to schedule an appointment.